It’s the most wonderful time of year. No, not when drinking every night of the week becomes socially acceptable. But when London’s buildings get all twinkly in time for Christmas. And if you’re still interested in the drinking part, combine the two at The Churchill Arms. 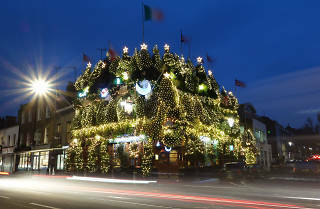 The pub is known around the world for its beautiful foliage – yes, it may be decorated in bouquets and flower displays in the summer months, but come Christmas, the Kensington boozer gets covered in Christmas trees. 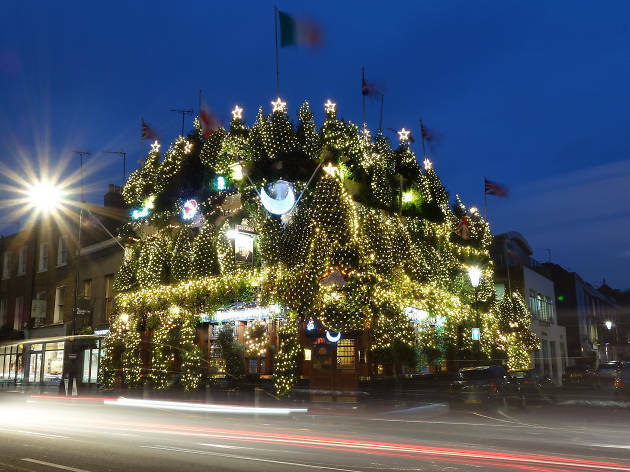 And the pub just announced on Instagram that its freshly decked halls will be shared and celebrated tonight when they officially turn on this year’s Christmas lights. The Churchill Arms officially switches on its Christmas lights, with carols and a super-special guest, on Thursday December 6. Find it at 119 Kensington Church St, W8 7LN. For more festive feels, check out our guide to London’s most cosy pubs. Get more boozy news delivered straight to your inbox when you sign up to Time Out. Laura is Drinks Editor at Time Out London. She makes an excellent cup of tea. Her G&T's not bad either. Follow her on Twitter at @Lala_Richards.